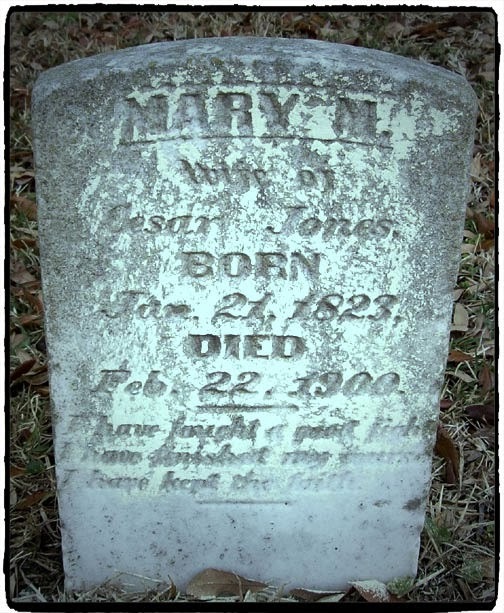 This week I've decided to continue on with my Jones family line and do a post on my 3rd great grandmother, Mary H Mitchel Jones. I remember the first time I ever came across her name was on the death certificate for her son, my 2nd great grandfather, Alexander Hamilton Jones. What a great moment to have at last a name. 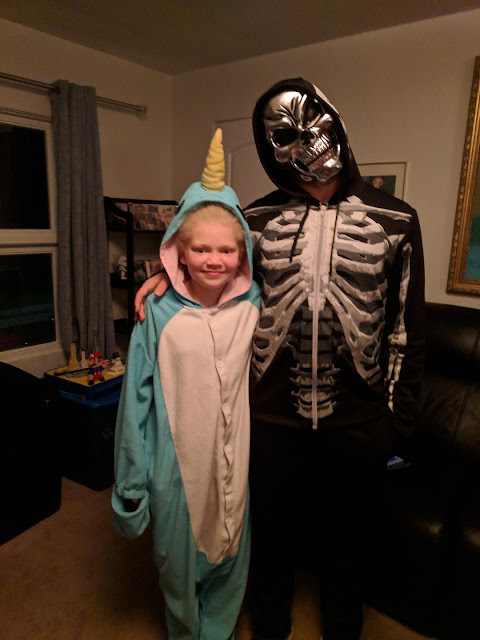 I wanted her to grow and become so much more to me, so I continued digging. Source Information: Ancestry.com. 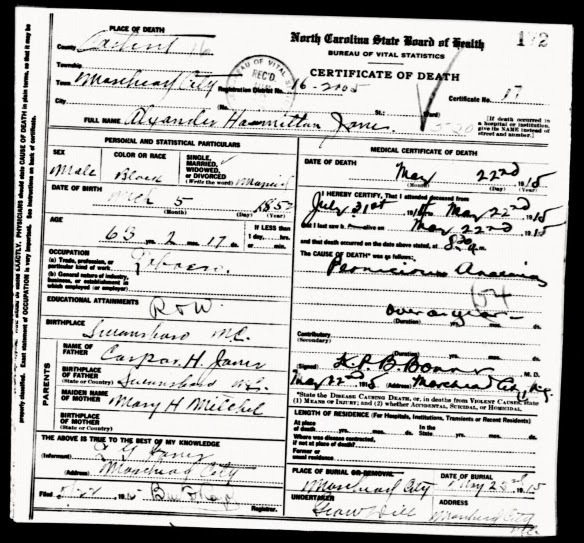 North Carolina, Death Certificates, 1909-1975 [database on-line]. I have often wondered if this entry from the North Carolina County Marriage Index is for my 3rd great grandparents. 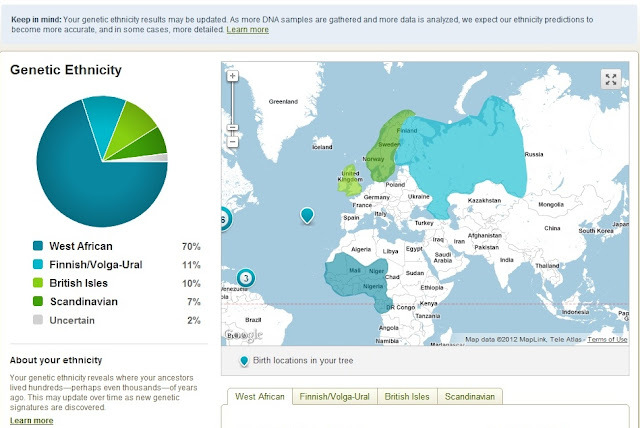 Source Information: Ancestry.com. North Carolina, Marriage Collection, 1741-2004 [database on-line]. I've wondered if the middle initial "H" was for Hawkins. Perhaps this record was for another couple altogether. Mary and Cesar Jones became property owners before 1900, a fact of which I am quite proud of. 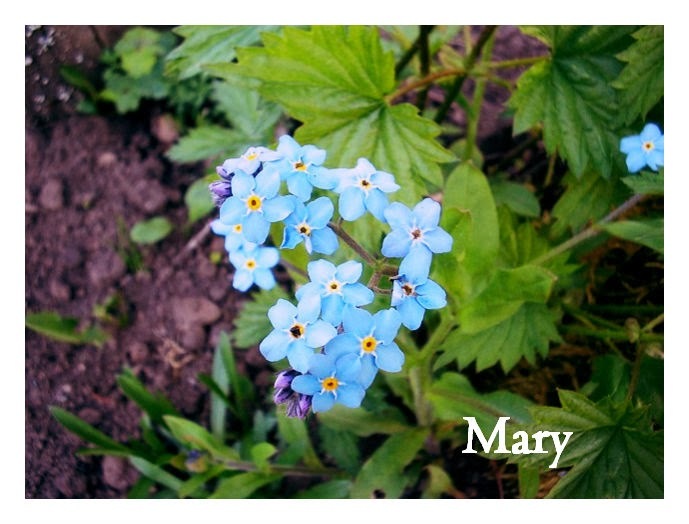 I learned of this when I reviewed Mary's will. 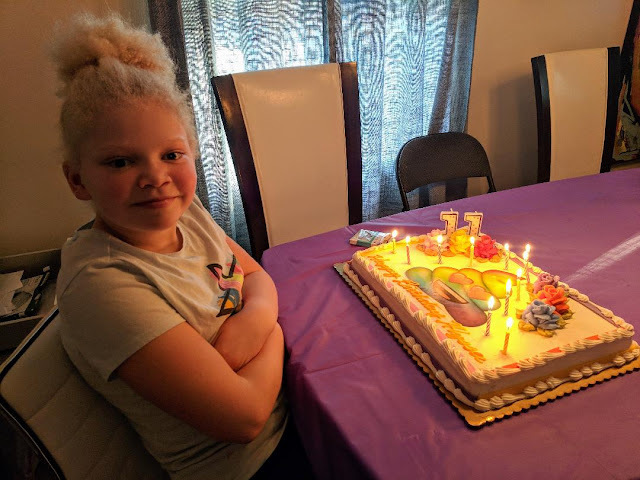 Upon their deaths, my 3rd great grandparents were able to pass down a house and a lot, as well as 9 shares of Shepard's Point Land Company stock to their kids. You can read about the details of her will on my post Amanuensis Monday: The Will Of Mary Mitchel Jones. Here's an example of a Shepard's Point Land Company Stock Certificate. Image courtesy of the book, "A Pictorial History Of Morehead City, 1714-1981"
If you missed my post about her husband, Cesar Jones, you can click here.